Internships aren’t always the most fruitful of experiences. By the time you’ve gotten yourself used to the company and dug your teeth into its work, they’re often already over. There’s usually little time – or skills – to make a real impact. Don’t tell that to Anamaria Cotîrlea. In 2015, Cotîrlea did her an internship with Google in Krakow, Poland. She’d graduated with a degree in Mathematics in 2009, and was following it up with an advanced degree in Informatics. Even before she’d grauadated, she had some serious pedigree under her belt – in 2014, she’d also interned with Microsoft in Seattle. In 2016, she went back to Google for an internship, this time with the Google Play team in London. Google Play is a huge operation – 65 billion apps have been downloaded so far by users, which is 10 times the entire population on the planet. There was room to make a real impact. And Cotîrlea did manage to make an impact – she implemented a compression algorithm that helped save Google’s customers 1.5 petabytes (1.5 million GBs of data) per day. Compression algorithms are probably best known thanks to HBO’s Silicon Valley, but they have serious real world applications. “It takes a lot of data to download new apps and updates to your existing apps, and we know users care about how much data their devices are using,” said Google in a blogpost. 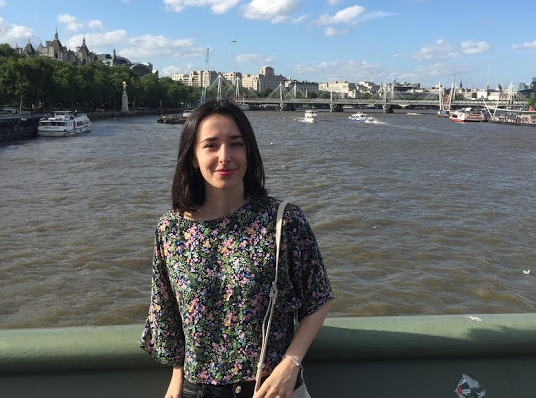 Anamaria’s project was to add support for Brotli – an algorithm developed by engineers at Google Europe – for both new app installs and app updates. Brotli was initially launched in 2015, offering enhancements in generic lossless data compression, especially when used for HTTP compression. Its compression rates, speed, and memory usage have been continuously improved, and it has proven to be a powerful tool for app compression, generally outperforming GZIP, the algorithm that Google currently uses. “During her internship, Anamaria evaluated Brotli’s performance on our app library and made the changes necessary to our servers and the Play Store app to deploy Brotli for app delivery,” said Google. For instance, the Brotli algorithm cut down the download size of a Whatsapp update from 5.75 MB to 4.73 MB, saving of 17% of data for Whatsapp users around the world. The update for Pinterest became 20% smaller. This translated to massive savings, in both data and money, for Google customers around the world. And Google rewarded her suitably for her efforts – soon after she’d finished her internship, she landed a job with the company as a Software Engineer.